UAE-based Emaar Development has reported a net profit of Dh1.82 billion ($496 million) for the first six months of 2018, up 68 per cent compared to Dh1.08 billion ($294 million) for the same period last year. A build-to-sell property development business majority-owned by Dubai developer Emaar Properties, the company said its revenue for the first six months surged to hit Dh6.99 billion ($1.90 billion), underpinned by the progress in construction and timely project delivery. This was 119 per cent more than the revenue of Dh3.19 billion ($868 million) for the first half last year, said the company in a statement. Highlighting the strong investor appeal for Emaar Development’s residential launches, the company reported total sales of Dh6.23 billion ($1.70 billion) during the first half of the year. Emaar now has a total sales backlog of over Dh38.5 billion ($10.48 billion), majority of which will be recognised as revenue over the next three to four years, it added. Emaar Development’s net profit grew 73 per cent in the second quarter (April to June) of 2018 to Dh997 million ($271 million), compared to Q2 (April to June) 2017 at Dh575 million ($157 million). Revenue for Q2 2018 was Dh3.72 billion ($1.01 billion), 145 per cent more than the Q2 2017 revenue of Dh1.52 billion ($414 million), it stated. In the first half of the year, Emaar Development launched the sale of over 3,600 residential units across its mega developments in Dubai. It now has a development pipeline of over 60 residential projects in the UAE with over 28,000 units. Emaar Development said construction was progressing as per schedule for handover of the first waterfront homes in Dubai Creek Harbour - the Dubai Creek Residences in Creek Island Dubai - next year. Time-bound milestones have been achieved for the delivery of homes in Dubai Hills Estate, Emaar South, Emaar Beachfront and Downtown Dubai too, he noted. On the solid results, Chairman Mohamed Alabbar said: "Emaar’s residential destinations are city hubs of the future with their exceptional location, build quality, spectacular views and the lifestyle amenities we offer in our integrated developments." "Developing premium real estate assets is our core strategy for Dubai and the resurging investor enthusiasm to our property launches underlines their trust in our focus on quality and design. We will continue to seek opportunities for developing property assets that create long-term value for our stakeholders," he noted. Emaar Development’s main launches in the first six months of 2018 include: The Grand, an exclusive collection of ultra-luxury apartments, penthouses and podium-level townhouses, in Dubai Creek Harbour; Socio and Collective, innovative concepts for co-living spaces in Dubai Hills Estate; Beach Vista and Sunrise Bay in Emaar Beachfront and Grande in Downtown Dubai. During Ramadan and summer, Emaar had offered several value-added offers for customers, which contributed to increased sales, said the top official. On its key highlights for the first half, the company said it had unveiled its Emaar Beachfront, a private-gated island destination in the Arabian Gulf that offers residents the opportunity to experience Miami-beach style living in Dubai. Since its launch, it had reported strong investor response for Beach Vista and Sunrise Bay, together accounting for sales of Dh1.65 billion ($449 million). 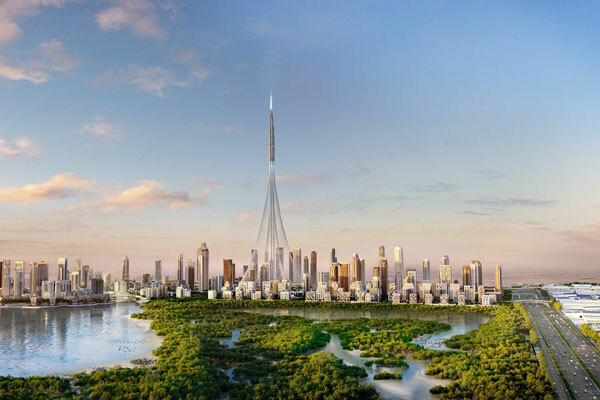 Emaar also announced a strategic partnership with Aldar for a new joint venture to develop the world’s next era of iconic destinations that will shape the UAE’s ever-evolving skyline, said the statement.